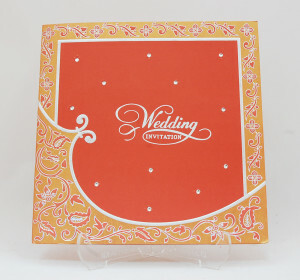 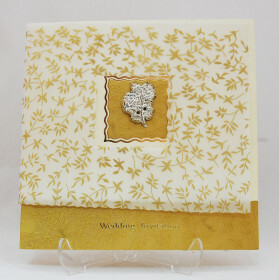 This is a folded Square shape card made from rich cream color gloss finish board. 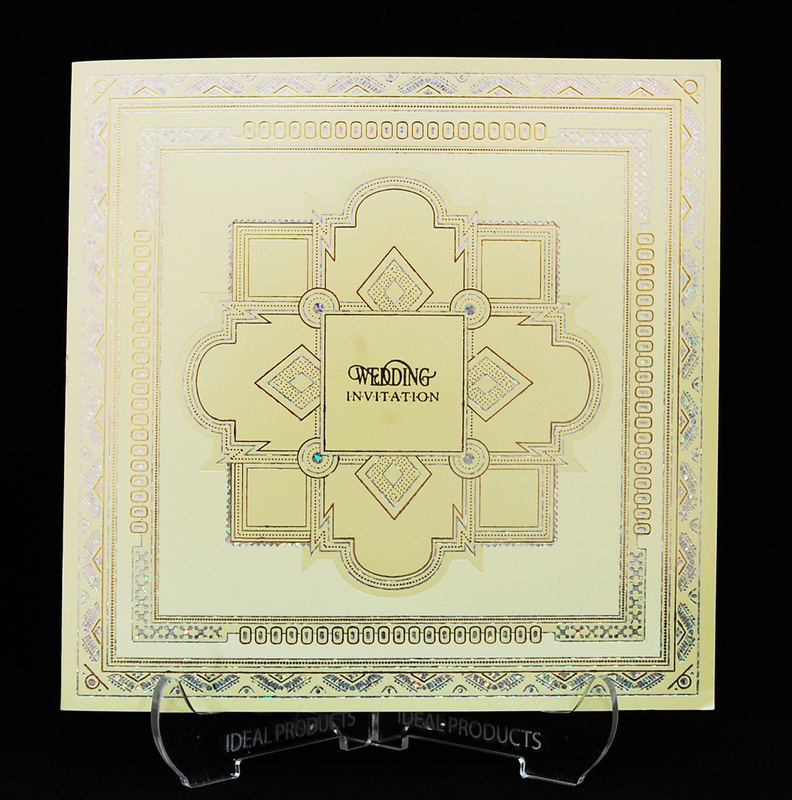 Silver hologram Foiled and embossed design on the front side. 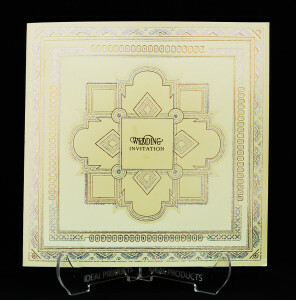 Invitation Printed on Separate insert in gold/silver foil text.